October 2014 marked the start of the MIAMI Project (Manufacturing Initiative through Additive Manufacturing Innovation) as part of Cross-ministerial Strategic Innovation Promotion Program (SIP) headquartered in Cabinet Office, Government of Japan. Through this project, Elysium supports athletes with impairments for the victory in Tokyo 2020 Paralympic Games by its best-in-class 3D geometry handling technology. Rio 2016 Paralympic Games were held in the largest scale ever, and the Paralympic baton was passed to Tokyo. 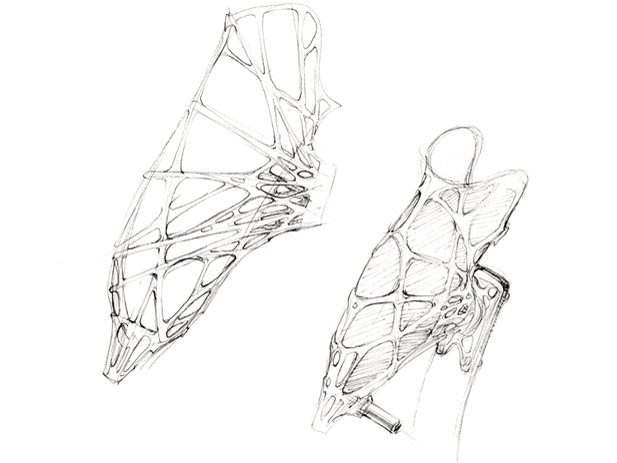 At the closing ceremony, a Japanese amputee, a globally known prosthesis model, caught an attention performing with an artistic, complex, yet stylish prosthesis. In such excitement, MIAMI project was undertaking to deliver stylish prostheses to Paralympians leveraging additive manufacturing technology. There are certain shapes which are impossible to manufacture by mold manufacturing. As a next generation technology to tackle such restrictions, additive manufacturing has been a hot topic in manufacturing industry in recent years. Additive manufacturing, generally known as 3D printing, is a technology to achieve speedy production based on 3D data and is expected to reduce the lead time on designing and production, and as a result, cost. 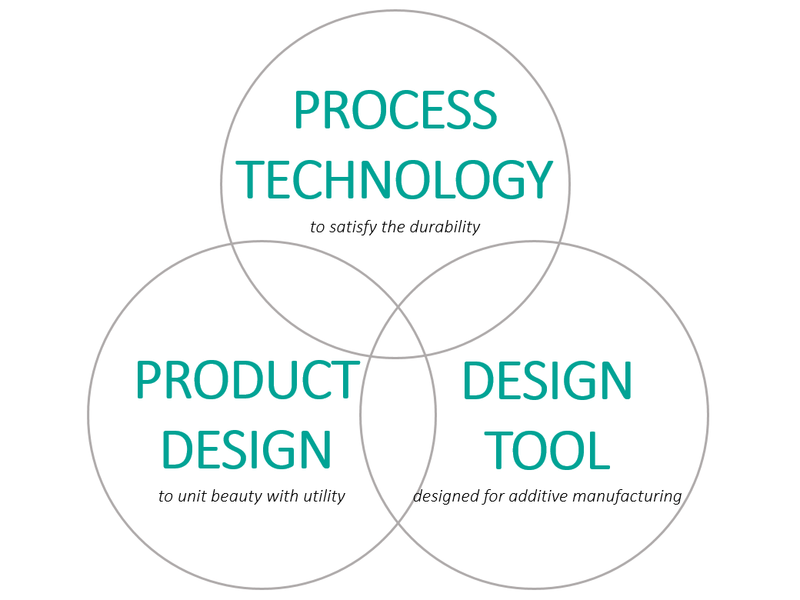 It also holds a great potential as a technology for mass customization. Mass customization is a manufacturing technique that combines the flexibility and personalization of custom-made products with the low unit costs associated with mass production. It is an effective technique for products that need to be custom-designed to fit to natural objects such as human body. 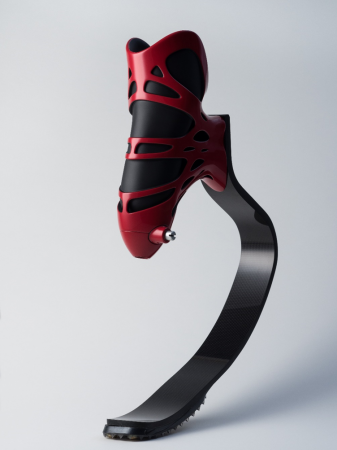 The MIAMI project focuses on sprint prostheses which requires precise adjustment to perfectly fit to each user’s limb. In the MIAMI project, Elysium takes charge of the development of computer-aided designing tool designed for additive manufacturing. 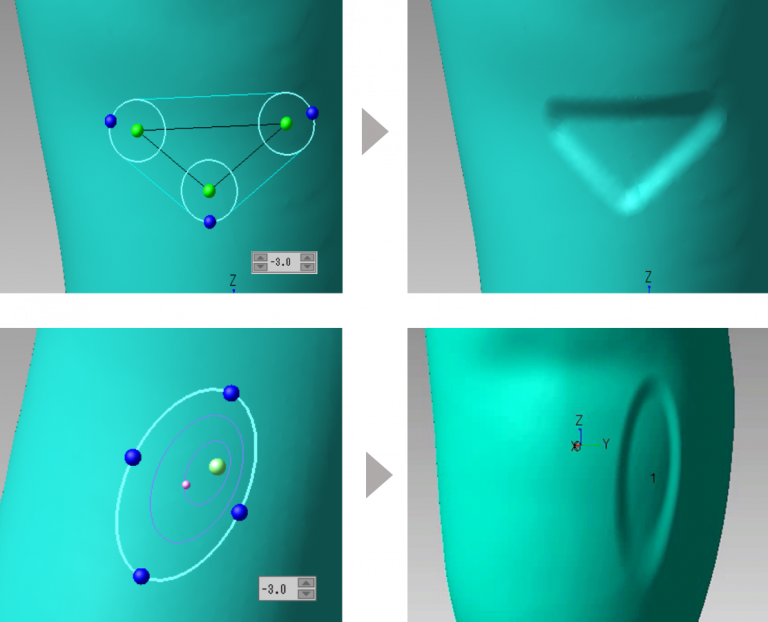 In the first phase, we set a goal to develop software to intuitively design inner sockets based on the laser-scanned data of a residual limb. 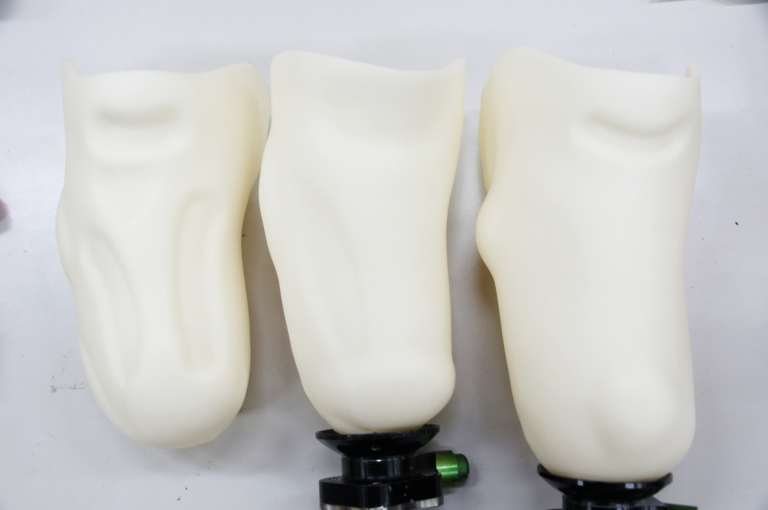 Prosthetists conventionally make plaster mold of each user’s limbs, wrap that in carbon fiber or plastic, and then refine the shape leveraging their expertise. 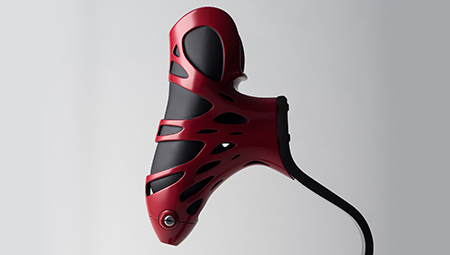 Mastering the refining process is crucial for a user’s comfort as the inner sockets have direct contact with residual limbs and bear all weight. In Nov 2015 and Nov 2016, we had prosthesis fitting to receive compliments from the user on additive manufactured prostheses produced in MIAMI project. “I want to go home with this,” said the user with an excitement. It was a great honor to hear such word. At the same time, it encouraged prosthetists to give productive feedback on the software, and Elysium answered to it with enhancements. Through iterations, we accomplished to develop a solution which allows prosthetists including beginners to design inner sockets in the almost same quality as what experienced ones would do by hand-crafting. 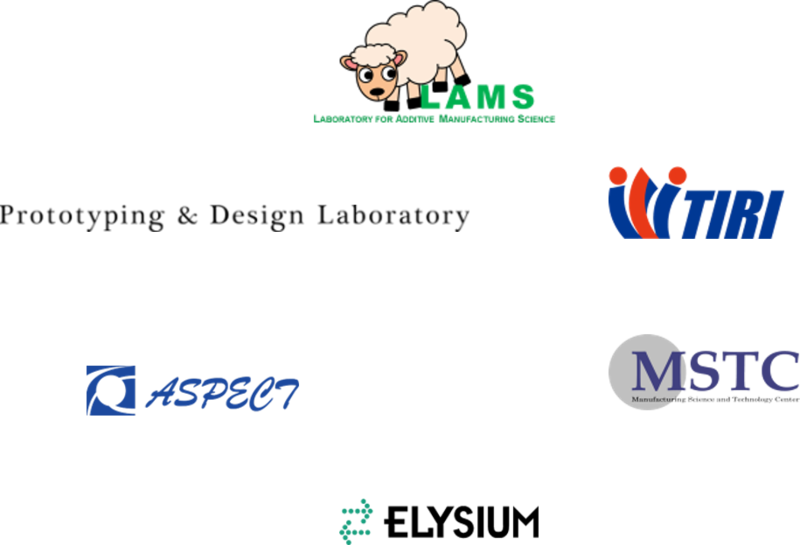 In Elysium software, all the modifications are stored as the modeling history. This allows to easily adjust the shape reflecting user’s comments. This also enables to visualize and digital-archive experts’ technique so that beginners can learn by tracing the editing history.